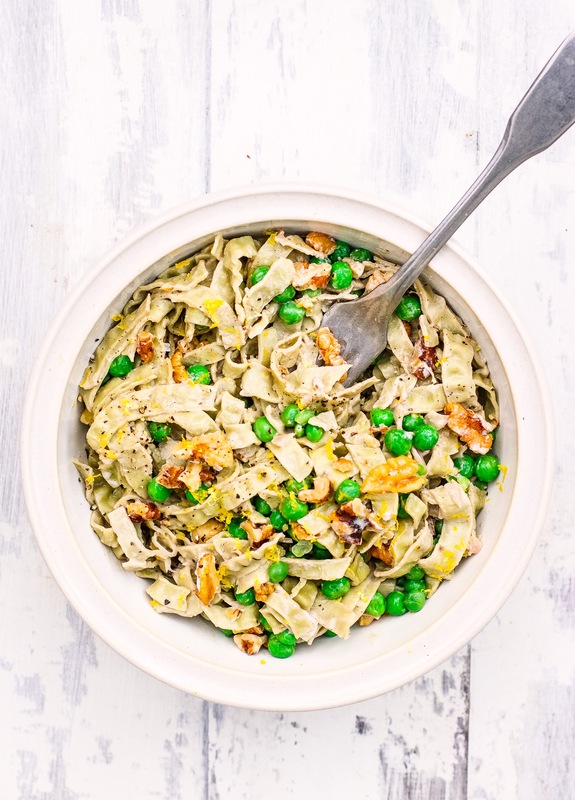 This pasta with walnuts, peas & garlic is so simple and delicious. 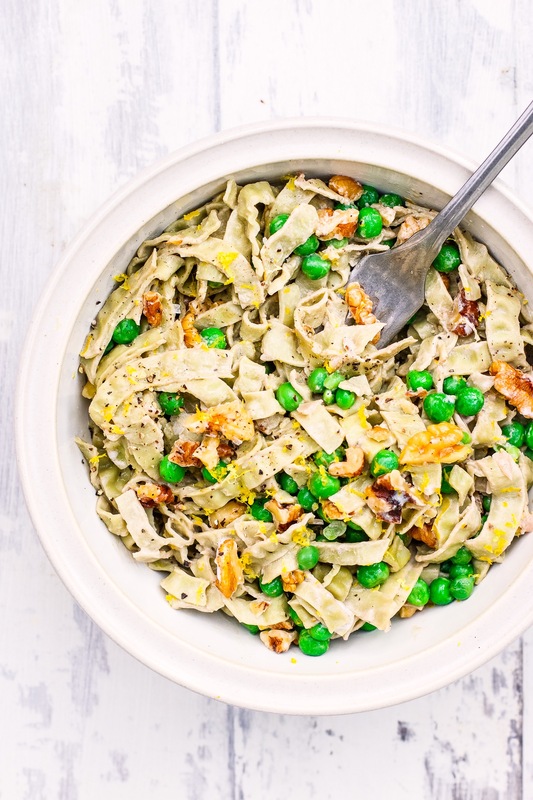 The walnuts have the best crunch and amazing flavour as they fry with in the garlic olive oil and I love the creaminess with the peas and lemon zest. I go heavy and on the salt and pepper and it’s just heaven when you want simple and comforting. Boil a large pot of water. When it’s boiling, add your pasta and cook according to the instructions until al dente. Add the olive oil to a medium pan on medium heat and add in the garlic and walnuts. Let them cook for about 3 minutes, then add in the peas. Season well with salt and pepper and toss. After about a minute, the peas should be warm, then zest the lemon into the pan and toss. Add the pasta to the pan, along with the coconut yoghurt. Toss everything until mixed through and season again with salt and pepper to taste. Hi Indy, where do you get the pasta? Btw, I cook most of your recipes every week when I get your email. We are big fans in our house. Hi Indy I’m not too keen on walnuts. Can you recommend any other nuts? How about pecans or cashews etc? Hi. How many calories in this dish please? Hi. Could I use natural yogurt in place of the coconut or creme fraiche? What coconut yogurt do you use? Appreciatе this рost. Will try it out. How long would this keep for if you wanted to make it for midweek lunches?